What is MOWELFUND FILM INSTITUTE? 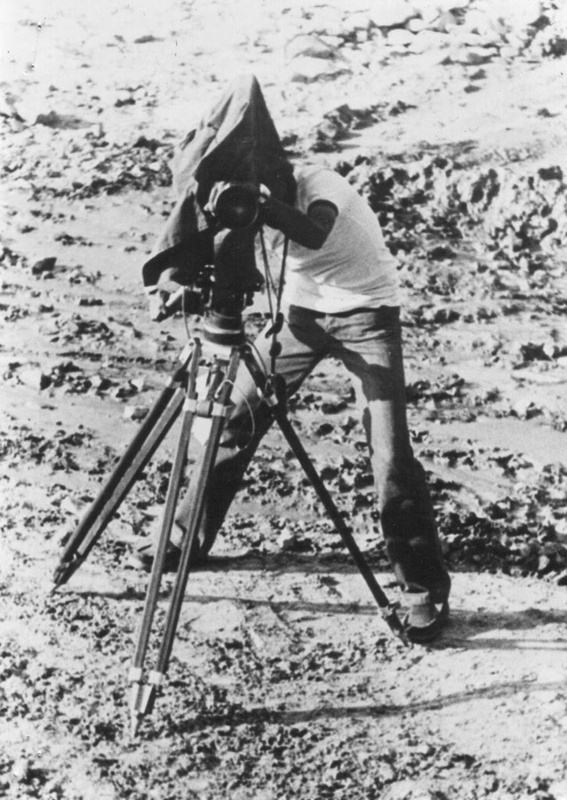 Since it was established in 1979, the Mowelfund Film Institute (MFI) has immensely contributed to producing quality films and educating filmmakers that cater to the constant development of local cinema. MFI is one of the major programs under Movie Workers Welfare Foundation, Inc. (MOWELFUND) that conducts trainings and workshops not just for filmmakers, but for people (actors, producers, film enthusiasts) who are interested in entering the film industry. 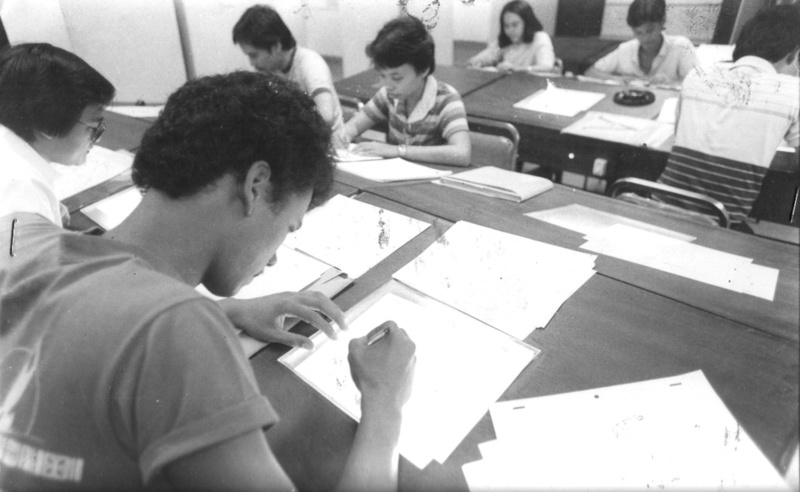 Even in the early years of its operation, MFI has proudly dedicated it’s time on improving film education that brings emphasis on building the creativity and uniqueness of each of its students. Various acclaimed local and foreign lecturers are constantly invited to conduct seminars and workshops which entice filmmakers, film enthusiasts, and various students from different universities to attend. A number of notable alumni who have entered reputable film festivals and have taken home prestigious awards include Raymond Red, Brillante Mendoza, Lav Diaz and more. With the hopes of uplifting the state of the local cinema, MFI proudly teaches its students to produce films that are of relevance from which they could freely voice out their opinions on significant issues as well as to accentuate the importance of creating art through compelling stories that would turn into eye-opening films. 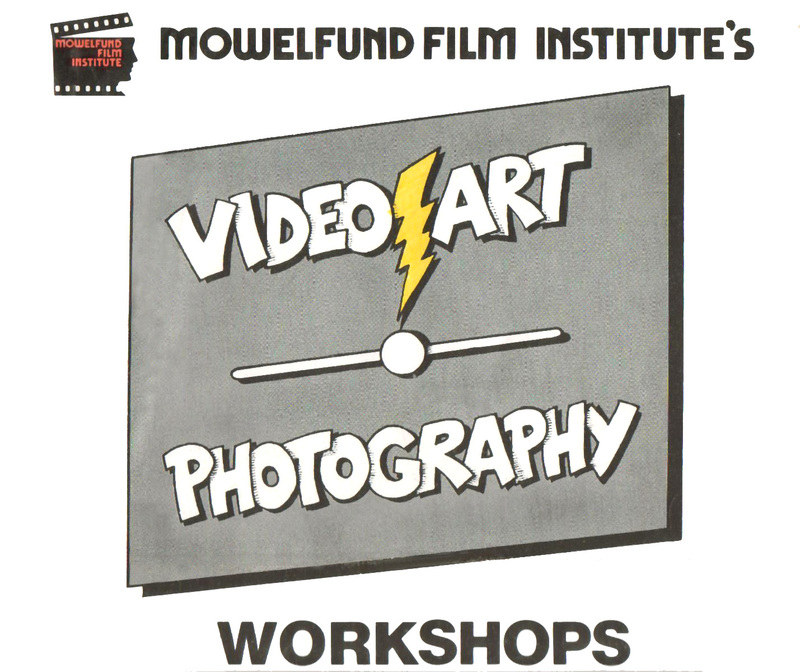 The MOWELFUND FILM INSTITUTE was established. MOWELFUND launches its Scholarship Program, comprising of study and training grants in the seven fields of the cinematic arts: Film Direction, Scriptwriting, Cinematography, Editing, Production Design, Production Management, and Sound Engineering. 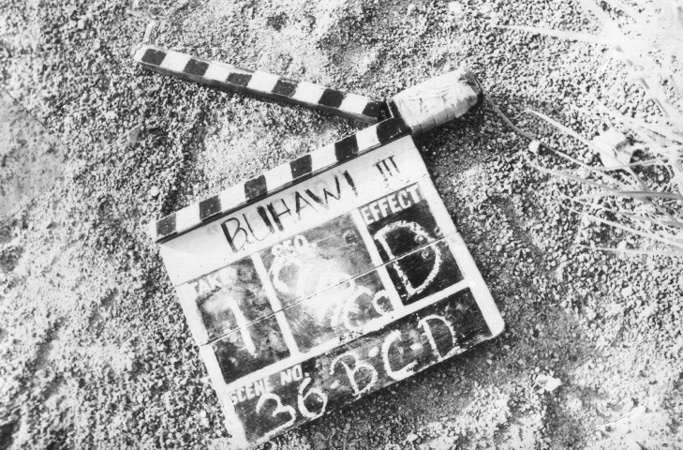 Twenty-one film scholars study filmmaking at the Ateneo de Manila University through the “Ateneo-Mowelfund Program for Artists in Cinema and Television (AMPACT).” Film training produces three versions of “Buhawi” (Whirlwind) shot in 16 mm, the basis for overseas scholarship of seven scholars. MOWELFUND sponsors Vittorio Romero’s film study at the Loyola Marymount University in California, USA. 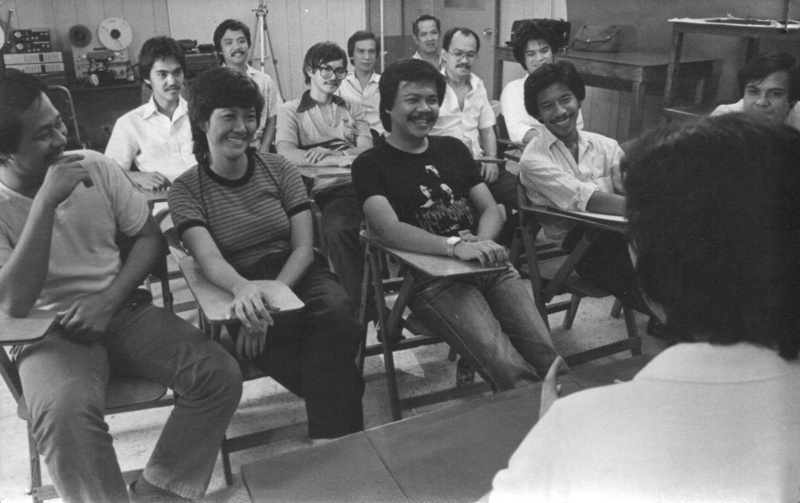 Selection of seven scholars to study filmmaking in the US for two years: Johnny Cruz, Rafael Oyales, and Ed Palmos for Film Direction; and Scriptwriting; Vic Palileo for Cinematography; Robert Lee for Art Direction; Tom Bismark for Editing; and Remberto Sanchez for Sound Engineering. 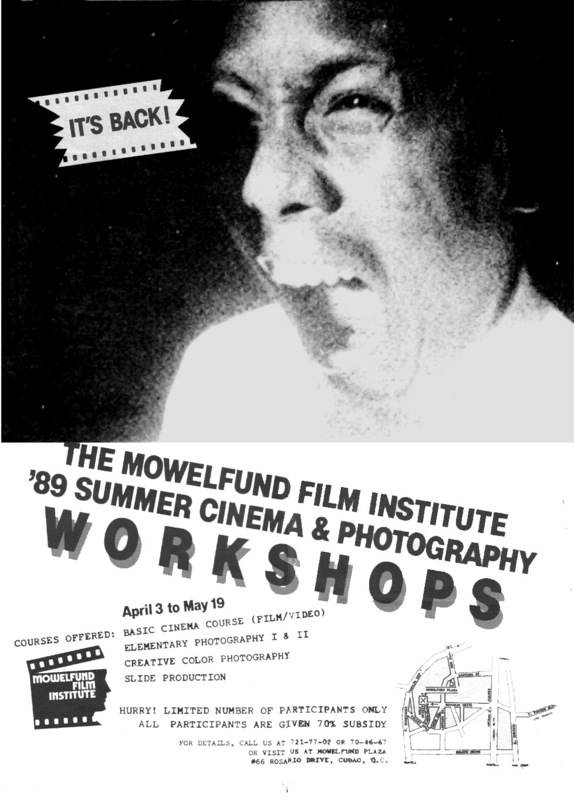 Opening of the “MOWELFUND FILM INSTITUTE’s Filmmaking Workshop,” a practical, hands-on introduction to the operation of super-8mm equipment and facilities by Surf Reyes. Seven MOWELFUND Scholars leave to take-up two-year courses on cinematic arts at the Columbia College in Los Angeles, with seminars at UCLA, NYU, USC and Brooks Institute. Formal launching of the MOWELFUND FILM INSTITUTE coinciding with the 8th Anniversary of the MOWELFUND, INC.
AMPACT opens a 14-month course leading to Artist’s Certificates for Cinema and Television at the Ateneo de Manila University. MFI opens special “Filmmaking Workshop” for teachers. MFI opens second “Filmmaking Workshop” lasting for four months. Rodolfo Velasco and Surf Reyes bring home complete super-8mm production and post-production equipment from USA. MFI opens “First Animation Workshop” for Optifex Animation, the first Filipino animation company. All graduates absorbed for employment. The 3rd MFI Filmmaking Workshop is held. AMPACT produces two 16 mm films on women: “Panaginip sa Tag-araw” (Summer Dream) and “Babae sa Bintana” (Woman by the Window). Rodolfo Velasco and Surf Reyes bring home Beta and U-Matic cameras and editing equipment from Hongkong. MFI offers workshops in Cinematography and Lighting. Opening of “Basic Filmmaking Workshop”. Nick Deocampo, Raymond Red and Mac Alejandre join the MOWELFUND FILM INSTITUTE. They organize the annual Summer Cinema Workshops (April). Lecturers this year include: Peque Gallaga, Marilou Diaz-Abaya, Cesar Hernando and Don Escudero. “Children’s Film Workshop” opens for children up to 15 years old. Holding of MFI’s first “Scriptwriting Workshop” under Ricky lee. 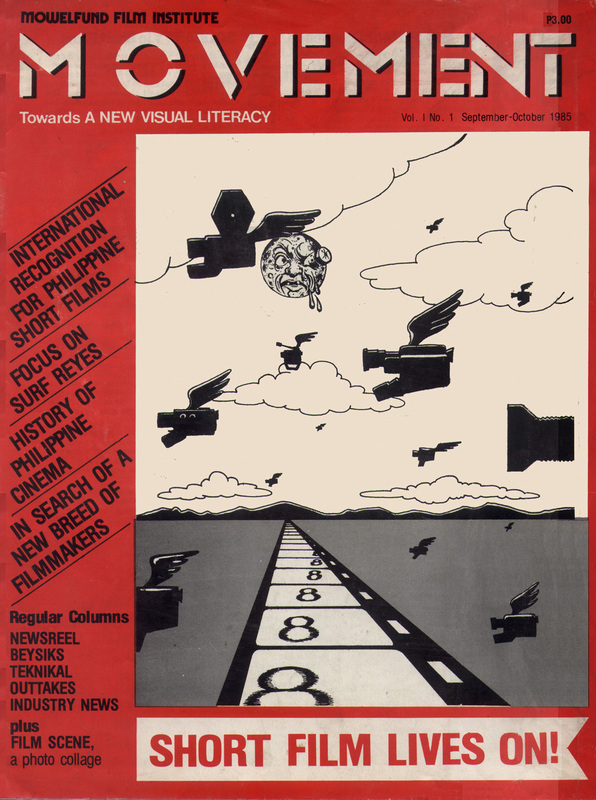 Maiden publication of Movement, the country’s only magazine on independent cinema. Graduation of participants from the first Scriptwriting Workshop. MFI in cooperation with SONY’s Solid Video, offers Video Grants for the production of short feature and experimental works. Prize winning grants produced: Larry Manda’s “Salamisim” and Rey Allones’ “Baligtaran.”. MFI participates in a seminar on “Film and National Development” at the 34th Int’l. Filmweek in Mannheim, West Germany. Opening of “Basic Photography Workshop”. 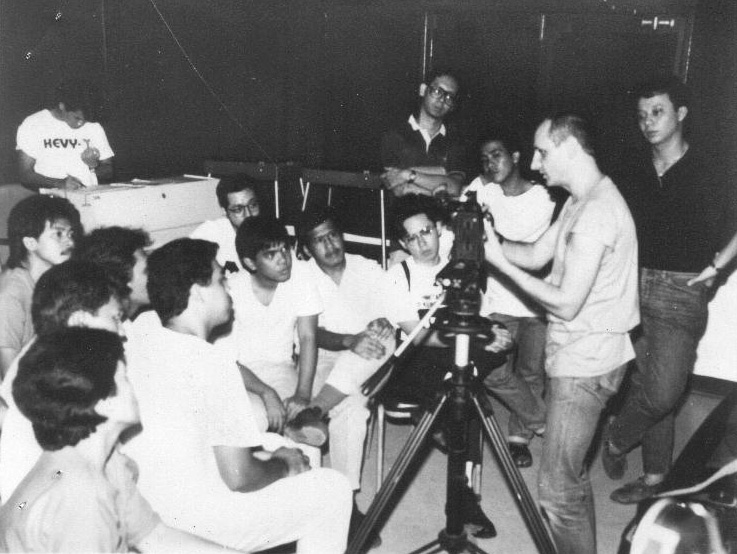 Holding of the “16 mm Experimental Film Workshop” under Ingo Petzke, West German filmmaker, at the MFI in cooperation with the Goethe Institute-Manila. MFI organizes country’s first “Independent Film & Video Festival” featuring banned documentaries, experimental works, films on women and gays, and other non-commercial film and video productions. 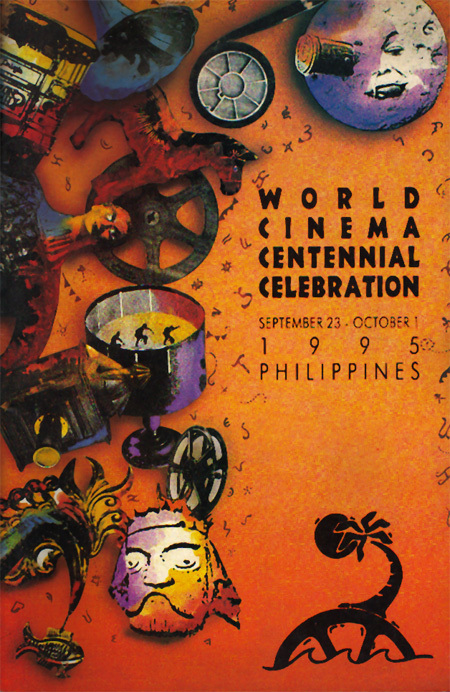 Festival is held at the WAVE Cinema in Cubao, a commercial theater in the heart of Quezon City. Holding of Film Seminar at the Goethe Institut-Manila. 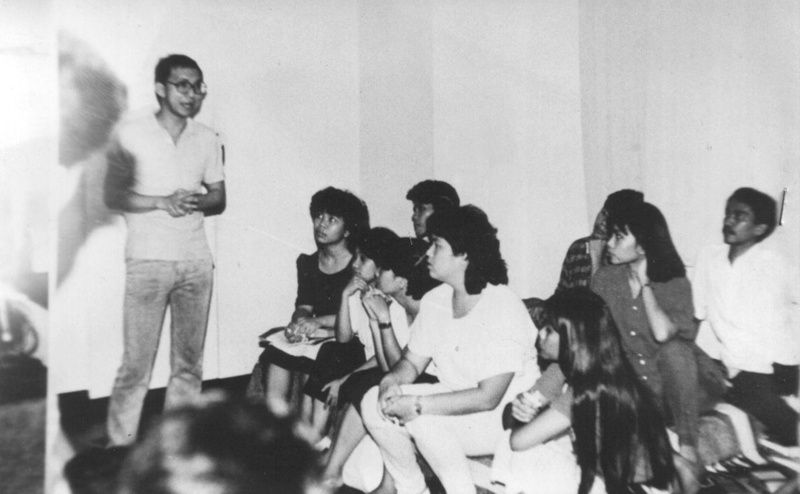 Topics touch on history, theories, aesthetics, video tech and other matters related to Philippine Independent Cinema. Guest speakers include film pioneer Ben Pinga and National Artist for Film and Theater Lamberto Avellana as well as filmmakers Jim Shum and Roger Garcia from Hong Kong, Ingo Petzke from West Germany and Dr. Uwe Schmelter, Director of the Goethe Institut-Manila. MFI hosts “1st Asian Directors Workshop” sponsored by Goethe Institut-Manila. Participants include Thailand, Malaysia, Indonesia and the Philippines. MFI-produced short films are screened in the Alternative Film and Video Festival sponsored by the Phoenix Cinema Club in Hong Kong. Airing of MFI’s video documentary, “Beyond the Mainstream: Salute to Philippine Independent Cinema” on Channel 2. Screening of 16 mm Experimental films produced by the MFI and the Goethe Institut-Manila at the German Cultural House. Film include Roxlee’s Lizard. MFI holds “Summer Cinema Workshops in Film & Video Production” (March 26 – May 30), “Acting for Beginners” (April 20 – May 22), “Basic Photography” (May 4 – 22), and “Movie Reporting Seminar” (March 26 – May 29). MOWELFUND President Joseph Estrada elected as Senator. MFI’s 16 mm experimental films co-produced with Goethe Institut-Manila gain honors in 7th Experimental Film Workshop in Osnabruck, West Germany. Roxlee’s “Lizard…” and Louie Quirino’s “Boy Goto” are included in Festival’s Best Films List. 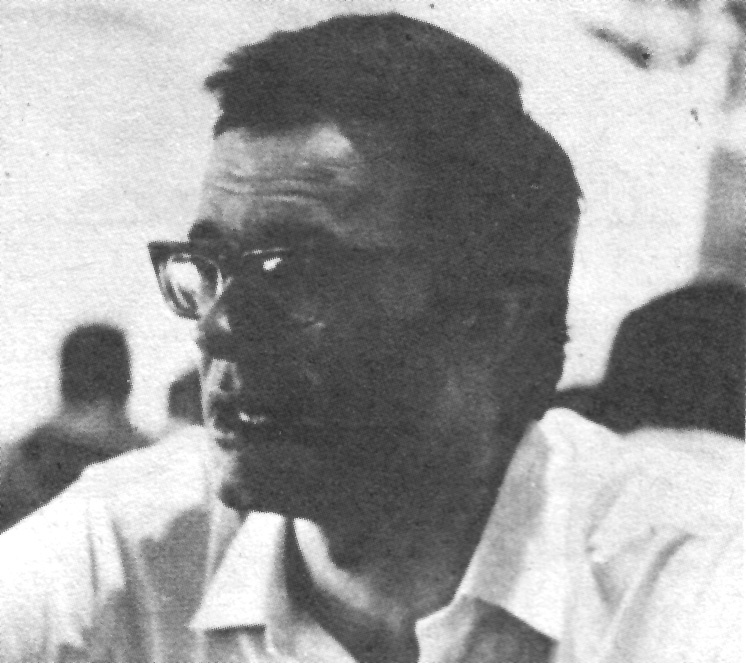 “Super-8 Film Workshop” under Birger Bustorff, with the Goethe Institut-Manila. 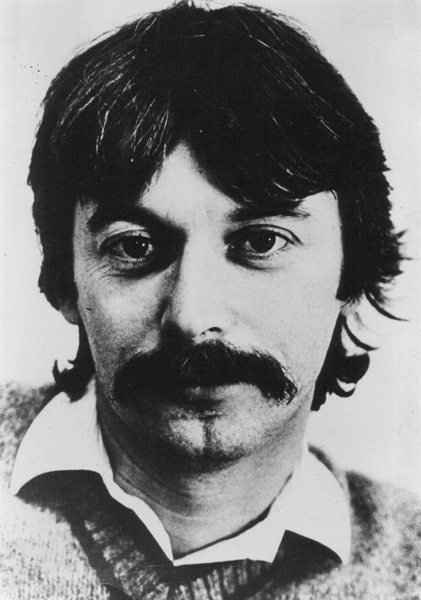 British film critic and international film festival consultant Tony Rayns lectures on Film Criticism. Holding of “New Breed: New Works,” a festival featuring film and video productions as well as photographic works by the graduating students of MFI’s Summer Cinema Workshops. MFI-produced experimental film “Tronong Puti” (White Throne) by Ted Arago and Roxlee wins Bronze Medal with Juan and Miguel Alcazaren’s “Hari” (King) Special Jury Prize at 13th International Amateur Film Festival in Kalibia, Tunisia. MFI assist Cultural Center of the Philippines’ 1st CCP Independent Cinema & Video Festival. MFI student’s production win major awards. MFI opens “Basic Video Production Workshop” for students and professionals. MFI opens “Advanced Photography Workshop”. Nick Deocampo and Raymond Red participate in 9th International Festival of Super-8 & Video in Brussels. Deocampo wins Grand Prize for his film trilogy, “Oliver,” “Children of the Regime” and “Revolutions Happen like Refrains in a Song”. MFI accepted as member of International Federation of Super-8 Film and Video while Deocampo is elected Vice-President for Asia. MFI’s Larry Manda participates in Seminar on Film Sound in Jakarta, Indonesia sponsored by the Goethe Institute-Manila. Deocampo leaves for New York University as Fulbright scholar in Cinema Studies. Goethe Institut-Manila and MFI jointly cooperate in a “35mm Cinematography Workshop” under Thomas Mauch. MFI holds “Summer Cinema Workshops in Basic Video Production” (April 4 – June 11), “Basic Photography” (April 4 – May 9), “Basic Film Production” (April 11 – May 28), and “Basic Animation” (April 11 – May 28). MFI holds “Seminar on Production of TV Programs for Young People” with the Goethe Institut-Manila at the German Cultural Center. 1st Sights and Sounds Manila at the Philippine Center for International Trade and Exposition. MFI conducts “On-The-Spot Video Workshop”. Centre International de Liaison des Ecoles de Cinema et de Television (CILECT) accepts MFI as Associate Member. 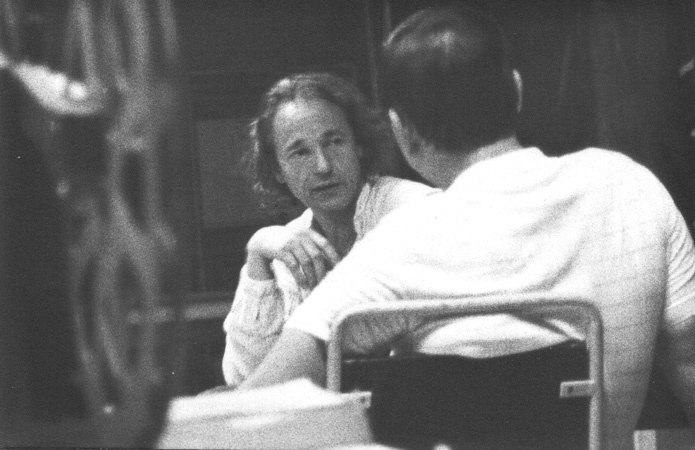 “16mm Experimental Film Workshop” under German filmmaker Christoph Janetzko with the Goethe Institut-Manila. MFI short films compete at The 10th Int’l Super-8 & Video Film Festival in Brussels, Belgium (Mark Meily, Larry Manda, Cesar Hernando, Nonoy Dadivas, Alcazaren Bros. & Louie Quirino). Festival of Short Films by Young Filipino directors is held. Start of “MFI Summer Cinema Workshops in Basic Video Production” (April 3 – May 19), “Elementary Photography I” (April 3 – 8), and “Elementary Photography II” (April 10 – 29). Experimental films produced by Goethe Institut-Manila and MFI participate in the “World Congress of Experimental Films” in Toronto, Canada. Earlier tours include Berlin, Hongkong and Washington, D.C. Screenings of Super-8 films at Open-air Theater, Rizal Park. Rodolfo “Rolfie” L. Velasco attends the “Tribute to Mowelfund” during 12th International Asian-American Film Festivalin New York. Nick Deocampo designated as new MFI director. 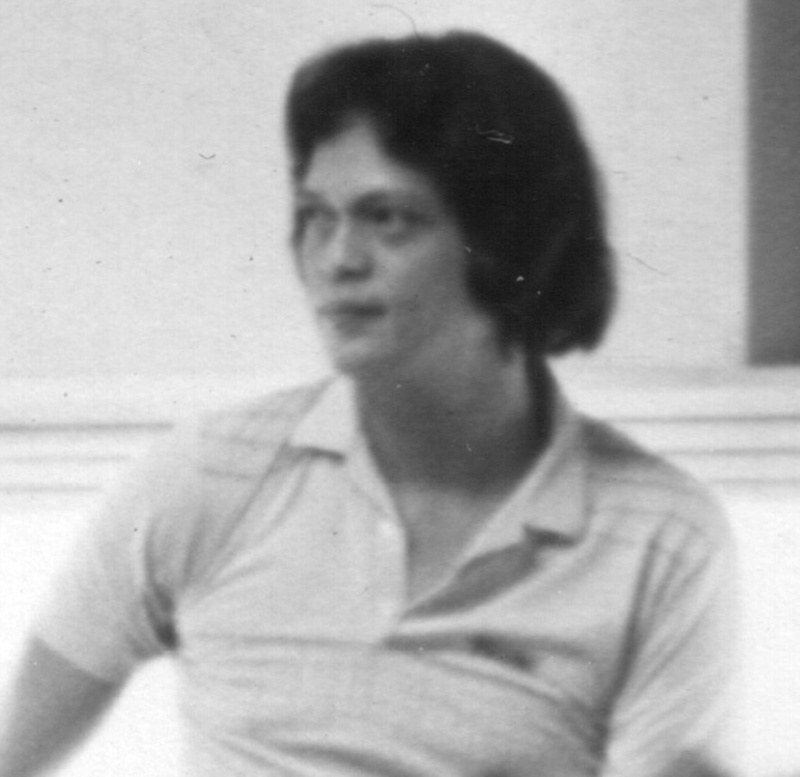 MFI holds the “16mm Workshop on Compilation Film with Sound Collage (Optical Printing Workshop)” under Christophe Janetzko with Goethe Institut-Manila and Philippine Information Agency. “One-Day-On-The-Spot Video Workshop” at the 2nd Sights and Sounds Manila. The Screenwriters Guild of the Philippines and Fernando Poe, Jr. partners with MFI in holding a “Basic Screenwriting Seminar-Workshop”. Goethe Institut-Manila partners with MFI in holding the “Aesthetics on Film Editing Workshop” under German film Editor Helga Borsche in cooperation with Luftansa and Philippine Information Agency. 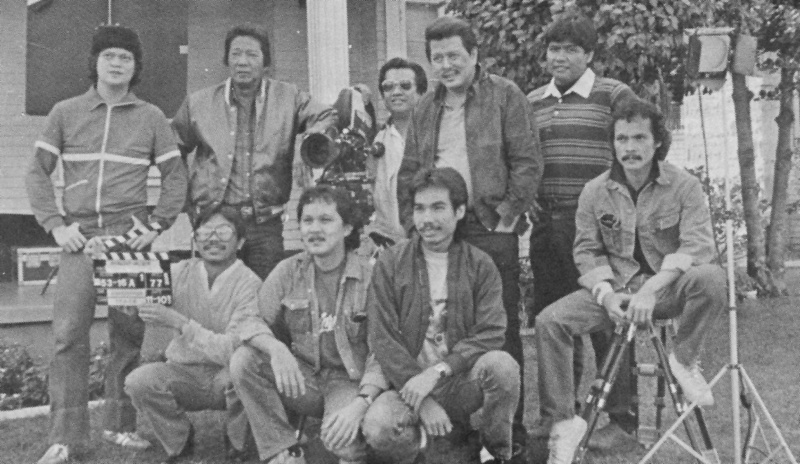 Joey Agbayani’s “Kidlat” and Roxlee’s “Lizard or How To Perform In front of the Reptile” participate at 1989 International Asian-American Film Festival. The Kapisanan ng mga Director ng Pelikulang Pilipino and Manuel De Leon partners with MFI in holding the “Film Direction Seminar”. Mark Meily’s “Sentry” competes at the 11th International Super-8 Film & Viddeo Festival in Brussels, Belgium. The Film Academy of the Philippines and Kodak-Philippines partners with MFI in holding the “Kodak-Philippines Fellowships in Cinematography FAP/FSC Cinematography Workshop”. Participation in “Festival des Grandes Ecoles de Cinema du Monde”, Canada. Holding of “International Super-8 Film Festival” at Fiesta Cinema, participated in by local and international filmmakers. Joey Agbayani’s “Kidlat” and Raymond Red’s “A Study for the Skies” win in 13th Gawad Urian. “Kidlat” joins Hollywood’s 17th Annual Student Film Awards (Student Oscars). The Film Academy of the Philippines and Lily Monteverde partners with the MFI in holding a “Production Design Workshop”. The Goethe Institut-Manila partners with MFI in holding the Asian Documentary Workshop under Michael Wulfes and Christian Weisenborn in cooperation with the Philippine Information Agency. MFI films win student awards in the 8th Film Academy of the Phils. Awards Ceremony. 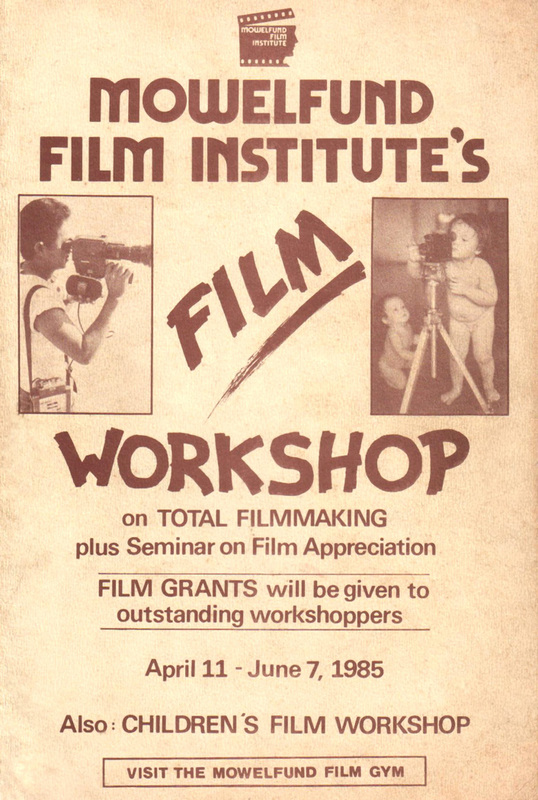 MFI holds its “Basic Film and Video Workshop” (May 2 – June 30), and “Photography Workshop” (May 5 – 31). Mel Bacani III and Roxlee participate in 6th Hamburg No Budget Short Film Festival, Germany. The Film Academy of the Philippines, Film Editors Guild of the Philippines and Dr. Jose R. Perez partners with MFI in holding an “Editing Workshop”. MFI holds its “Basic Film and Video Production Workshop” in Iloilo. The Film Academy of the Philippines and Vicente Del Rosario partners with MFI in holding a “Musical Scoring Seminar”. The Film Academy of the Philippines, AD/PM Guild and “M-7” Yalung partners with MFI in conducting a “Seminar for Assistant Directors and Production Managers”. MFI holds its “Basic Film and Video Workshop”. MFI holds it’s “Women’s Video Communication Workshop” sponsored by The Kamalapina & CCP Women’s Desk. MFI conducts “Animation Workshop” in partnership with the Philippine Children’s Television Foundation (PCTV). MFI conducts “Summer Workshop for Student Directors”. “Pelikula at Lipunan,” a week-long celebration of Philippine cinema at SM Megamall Preview Theater. It is a project of the National Committee on Cinema of the National Commission for Culture and the Arts and implemented by the Mowelfund film Institute. MFI conducts “Poetic Film Workshop”. MFI student cinematographers Kiri Dalena and Claude Santos of the film “Red Saga,” won the 2004 KODAK Student Film School Competition to represent the Philippines in the Regional Competition in Australia. MFI conducts “Intensive Filmmaking Workshop”.